The history of Saltwood Castle is full of incident, for the importance of the position for coastal defence was early recognised. There are signs that, at the head of an inlet of the sea here, the Britons threw up earthworks, which later the Romans strengthened. As their line of communication with Rome lay through this part of Kent, the Romans clung to it after all else was lost. But their desperate resistance to the Saxons was in vain, and A.D. 488 Osric, the son of Hengist, built a fort here. In the time of Canute and in his presence, Haldane, a Saxon then, gave the manor of Saltwood, with Hythe as an appanage, to the monks of Christchurch, Canterbury (1026), and the close connection with See continued till Cranmer’s day. Lanfranc, dividing the property of See, kept Saltwood Manor; it became an “honour” held under the Archbishops by different knights. Hugo de Montfort repaired and strengthened it; Henry of Essex, Barn de Raleigh and Constable of England, rebuilt it in Henry II’s day (1154). The walls of his chapel still stand, showing traces of the windows on the south side, while other architectural remains indicate its ecclesiastical nature. The stone-ribbed ceiling of his gate-house, the portcullis grooves, the hook-stones and hooks for the gates can still be seen in the earlier gate-house. Raleigh was Warden of the Cinque Ports and also Hereditary Standard bearer to the King, but for cowardice and treason, in the Welsh wars, forfeited his lands, and the King then seized the Castle of Saltwood, which he granted to Randulph de Broc. 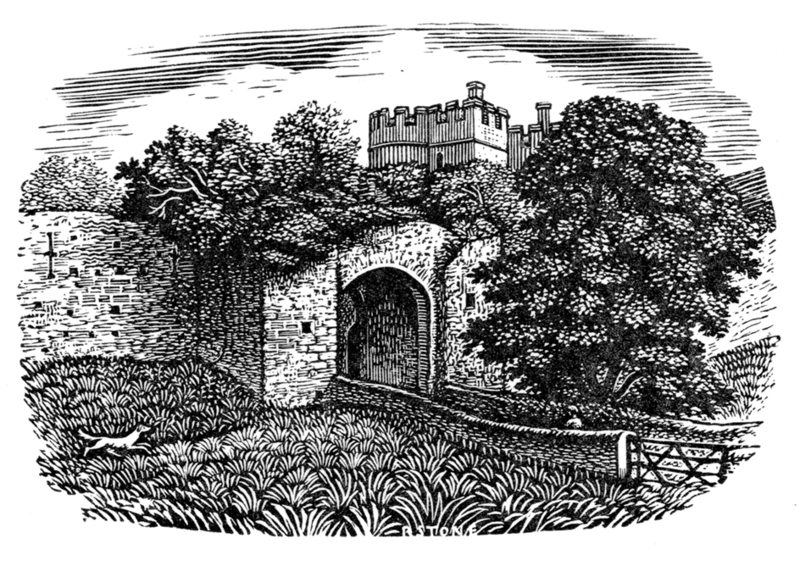 Thus Saltwood Castle became associated with one of the most striking and lurid incidents in English history. Becket had asked Henry II on behalf of the Church for the restoration of the castle as an ecclesiastical palace. Henry instead gave it to one of his loyal barons named Ranulf de Broc. This leads to the implication that some complicity was possible in the murder of Becket by the baron Ranulf de Broc. It was during this time at Saltwood, on December 28, 1170, that four knights are presumed to have plotted the death of Becket, which took place the following day at Canterbury Cathedral, about 15 miles (24 km) away. Hugh de Moreville was one of the four knights that committed the assassination, along with Reginald Fitzurse, William de Tracey, and Richard le Breton. 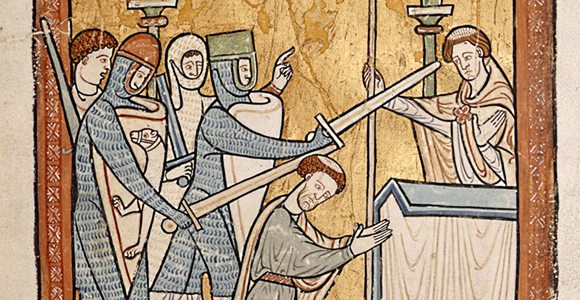 After Becket’s assassination, the castle was returned to the control of the archbishop of Canterbury. Gun-ports in the gatehouse that date to the period 1385-94 are attributed to Henry Yevele (fl. 1353-1400), called the “English father of the science of artillery fortification’ by B.H. St John O’Neil. A fourteenth-century chip-carved chest with arcading and rosettes along the front, with a later panelled top, formerly in the parish church, was reputed to have come originally from Saltwood Castle. The Wycliffite William Thorpe’s account of his interrogation at Saltwood in 1407 is a familiar document because it was published by sixteenth-century Reformers. Many are the entries relating to Saltwood in the archiepiscopal registers. In 1286 a “mandamus”, relating to Romsey Abbey, is issued by Archbishop Peckham from Saltwood Castle.About 1347 the Archbishop pays “aid” for Saltwood when the Black Prince was knighted. Archbishop Whittlesey, also in Edward II’s reign, makes Simon de Burgh Constable of Saltwood at a salary of £20 per annum, payable at the Feasts of Easter and St. Michael. In 1382 Archbishop Courtenay sold material of “Brockhull”, the old de Broc house close by, together with that of other manor houses, to defray the expense of the additions which now form the bulk of the present castle. Courtenay incorporated much of Raleigh’s buildings in his, and built a larger chapel near the “sally-port” and the keep wall, outside which remains of masonry show the probability of a wooden foot-bridge across the moat, to serve the village people on their way to Mass. The chapel must have been built over a crypt, since the position of the piscina shows that it was on a level with the large hall standing next to it. This Hall of Audience was erected above the strongly vaulted cellar, the roof of whichis of the same date as that in the lower portion the gatehouse built by Raleigh.The well in the centre of the inner bailie, is 62 feet deep and 8 feet square. Two square towers are found within the keep wall, the lower storeys of each having formed dungeons without light or ventilation. Courtenay, at the time of his death, was adding four bays to the front, to meet his circular towers, with new drawbridge, gates and portcullis; and had this been completed, and the old front opened to it, a fine drive would have been carried through to the inner bailie. Guard-rooms and little cells occupied the ground floor of the towers, which stand nearly 80 feet high. Two shields above the front door show Courtenay’s arms alone, and impaled with those of the see. Thorpe, who was “confined and grievously tormented” in the dungeons of Saltwood. Edward II and Queen Elizabeth I both visited the castle, and about 1540 Cranmer conveyed this manor to King Henry VIII and his successors. 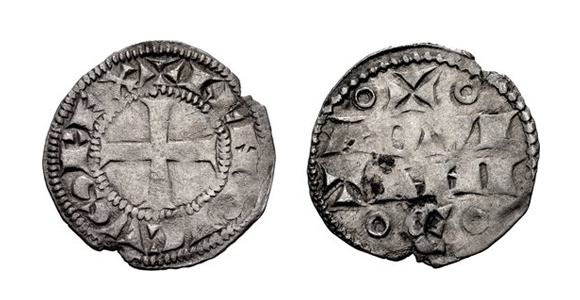 An earthquake in 1580 did much damage; and during the restoration in 1882 working men’s tokens, bearing German inscriptions, were discovered, showing by the date that German skilled labour was then employed for repairs. Further earthquakes and the neglect of man gradually completed the ruin of the place. Changes of owners and reversions to the Crown were many, of note, Charles I settled a fee-farm of £24 8s 4d out of the Manor of Saltwood as a dower for Queen Henrietta Maria. From about this date it was held by Sir William Boteler and his descendants till 1712, when Brook Bridges of Goodnestone bought it. In 1794 William Deedes of Sandling, after his marriage with Sophia Bridges, exchanged lands near Goodnestone for the Saltwood Castle estate.The gatehouse was then used as a farmhouse, and fell into still greater decay, until it was saved from complete ruin by William Deedes, grandson of the first and uncle of William Deedes. This restoration, begun in 1882, was carried out on the lines of the original building by the well known architect Mr.